The trampoline as we know it is a fairly modern invention but evidence shows people were using versions of it, albeit rather crude, thousands of years ago in Iran, Egypt, and China. Drawings show these ancient civilizations using trampolines in what looks like celebrations or possibly religious ceremonies. But while it’s unclear what the exact purpose was, the fact they were included in carvings means they were valued. The Inuit also used trampolines to get a “bird’s eye view” of their surroundings, either for hunting purposes or as a way of avoiding danger but more importantly, they used them as part of their spring whaling ceremony. While one person would sit in the center of the seal skin “blanket”, several others would hold onto the edges tightly and toss the seated person up into the air. But how did the modern trampoline come about? Since time immemorial man has had a desire to fly, or at least be airborne, which is how early prototypes of trampolines probably came about. During the Middle Ages, people used something called “The Leaps”, which consisted of a thin board placed over two stands on either end. By jumping on it, the spring “action” would send the person into the air, which added a different element to their show. Its popularity grew and because it required very little assembly, performers were able to travel with it and incorporate it into their act. “The Leaps” was soon replaced by the springboard, a contraption with a board that was fixed to the base with a hinge for added movement. The idea behind the springboard was that a person could jump on the free end, while the secured bit allowed for more spring. This catapulted the performers into the air, and it was soon incorporated into tumbling and acrobatic shows. We still use springboards today, but they’re called diving boards and are used to toss people into swimming pools rather than into crowds or onto dirt covered circus floors. 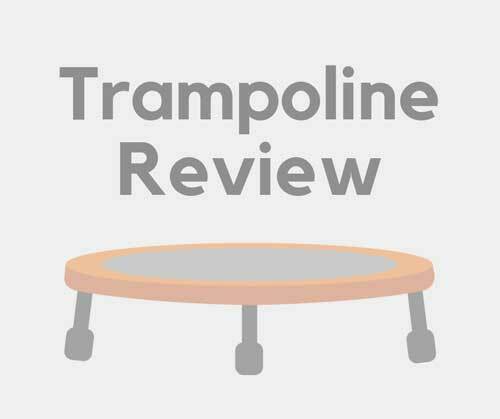 Even with their “springiness”, these devices have little resemblance to the modern trampoline. The closest thing, however, would have been an adaptation of the trapeze net by a fellow called du Trampolin. Apparently, he took the net that was used as a safety device at the time, tweaked it here and there, and reduced the size to create a propulsion-and-landing device that he called a “trampoline”. Unfortunately, as entertaining as du Trampolin’s story is there’s no documented evidence of his invention, but George Nissen on the other hand, his story stacks up. Way back in 1930, an excited teenager watched as trapeze artists performed their death-defying stunts. But he was particularly taken with their dismounts, which saw them drop from their bars and bounce into the safety net below. The teen was George Nissen and the wheel’s were soon set in motion for what was one of the greatest inventions ever. It seems George was born with a spring in his step; at 10-years of age, he was on the school gymnastics team, he was an excellent swimmer as well as a diver, very nearly making the team for the USA’s diving squad for the 1932 Olympics. Taken by the safety net and the idea of how much more could be done if the performers were able to carry on bouncing, he went about designing a “bouncing rig”. Using the garage at home as his workshop, he strapped a sheet of canvas to a steel frame. Later on, in 1934, Nissen, along with Larry Griswold added more bounce by using tire inner tubes, which were later replaced by the coil spring. Nissen spent years traveling the world promoting the trampoline, and undoubtedly one of his biggest goals was to get the sport into the Olympics. The trampoline, although originally designed for performers and children, was used as a training device for navigators and pilots during WWII. They eliminated the pilots’ fear of heights and helped them get used to the sensation of flipping and turning. Also, trampolines were used to strengthen muscles as well as improve body control and balance. Later on, NASA incorporated trampolines into their programs. Trampolining helped astronauts prepare for the mission itself, getting them used to the feeling of weightlessness and the lack of gravity, and it prepared them physically. Trampolines were even used once the astronauts had returned, to help them adjust back to living on earth. Oh yes, probably a lesser known fact is that Marilyn Monroe posed on a trampoline circa. 1953. And in 1969 Judi Ford did a trampoline routine as part of her talent portion in the Miss America pageant, which she went on to win. In 1948 trampolining became a National Collegiate Athletic Association competitive event, and in 1954 it was recognized as an Amateur Athletic Union event. But the sport was taking the world by storm in the rest of the world and in 1964 the very first World Championships at London’s Royal Albert Hall. In 1994 the International Trampolining Federation and the International Gymnastics Federation started lobbying to get the sport included in the Olympic games, by including a trampoline performance in the closing ceremony in Atlanta. But it took a chance meeting in 1997 between one of the main lobbyist’s and the head of the Australian Olympic Committee to seal the deal. That same year trampolining was admitted to the 2000 Olympic games in Sydney, and guess who was one of the first people to buy a ticket for the front row? Yes, none other than George Nissen. He had lived to see his dream come true. While other fads have come and gone, trampolines have stood the test of time. In fact, they seem to have grown in popularity with trampoline parks popping up all over the place. It seems whether you’re young or just young at heart, the appeal of bouncing up and down is undeniable, and it’s not just fun, it’s good for you too.